Asset Protection in Wisconsin | What Can Creditors Get? The 7th Circuit Court of Appeals recently reversed a ruling by the U.S. Bankruptcy Court for the Western District of Wisconsin which held that an inherited IRA was an exempt asset. In re Clark, Nos. 12–1241, 12–1255. In Clark, the debtors, Brandon and Heidi Clark, filed for chapter 7 bankruptcy in 2010. Heidi Clark owned an IRA that she had inherited from her mother in 2001. At the time they filed for bankruptcy, neither debtor was retired, and the debtors claimed the inherited IRA was exempt under Wisconsin law and 11 U.S.C. Sec. 522(b)(3)(C). The Court of Appeals stated that at the time the Clarks filed for bankruptcy, the money in the inherited IRA did not represent anyone’s retirement funds and that to treat this account as exempt would be to shelter from creditors assets that can be freely used for current consumption. The Court reasoned that, unlike one’s own retirement account, or a retirement account inherited from one’s spouse, a retirement account inherited from a third party “must begin distributing its assets within a year of the original owner’s death.” Further, payout must be completed in as little as five years, although the time can be longer for some accounts. 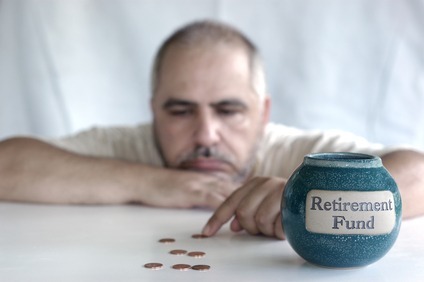 Because it concluded that inherited IRAs are not savings reserved for use after the owner stops working, the court held that they do not qualify for the “retirement funds” exemption. The decision is at odds with a ruling of the 5th Circuit Court of Appeals, which held last year that such funds still remain exempt under the Bankruptcy Code. In re Chilton, 674 F.3d 486 (5th Cir. Mar. 12, 2012). From an estate planning perspective, parents may want to consider making an IRA payable to a trust rather than directly to a beneficiary, if protecting the asset from claims of the beneficiary’s creditors is a concern. From the perspective of judgment creditors, including business owners, this ruling will serve to increase the pool of assets available to them for collection of a debt. If you want to learn more about asset protection in Wisconsin, Mary John, an estate planning and business lawyer in Wausau, can assist you. Contact Mary to find out about asset protection in Wisconsin. Call for free telephone consultation asset protection in Wisconsin. Call 715.843.6700 to speak with a Wausau attorney experienced in asset protection in Wisconsin. Email your questions about asset protection in Wisconsin. What is your excuse for not having a Will?